After earning his undergraduate degree from Duke and law degree from UCLA, Professor Fair worked as an associate with Bryan, Cave, McPheeters & McRoberts in Los Angeles. In 1987, he joined the UCLA law faculty as a Lecturer and co-directed its Academic Support Program. He served as a commissioner of the California State Bar Commission on Minority Access to the Legal Profession and as a Public Counsel legal services volunteer. Professor Fair joined the Alabama law faculty in 1991. He was named the Thomas E. Skinner Professor of Law in 2000. He is an eleven-time member of the law school commencement hooding team (selected by students), and has twice been named the law school=s outstanding faculty member (selected by students). He has also received the University’s Outstanding Commitment to Teaching Award given each year by the National Alumni Association. Professor Fair has served as the faculty advisor to the Jessup International Moot Court Team, Black Law Students Association, Outlaw, Law Democrats, American Constitution Society, and other student groups. Professor Fair has also taught law courses at Seattle University, the University of Tennessee, the University of Fribourg, Switzerland, and The Australian National University. Professor Fair has held several administrative posts at the Law School and the University. At the Law School, from 1997 to 2010, he directed the University of Fribourg/UA Law cooperative exchange (the Swiss Program). He served as the Director of Diversity and International Programs in 2007 and 2011 and 2012, and Associate Dean for Special Programs from 2008-2010, supervising international, diversity, and public interest programs. 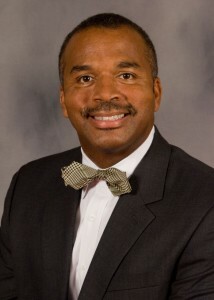 He also served as an assistant vice president for Academic Affairs at the University from 1994 to 1997. Professor Fair is the author of Notes of a Racial Caste Baby: Colorblindness and the End of Affirmative Action (NYU Press 1997). Professor Fair=s research agenda remains focused on equality theory under the Fourteenth Amendment, with the central theme that equal protection jurisprudence has lost its anticaste moorings, rendering it largely obsolete to address significant forms of American caste. He is a member of the American Law Institute and has served on ABA, AALS, and LSAC committees. He has served on numerous boards and currently serves on the Board of Directors of the Southern Poverty Law Center.